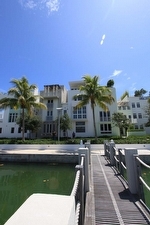 Aqua Allison Island Miami Beach live life in the tropics at this world class island village. 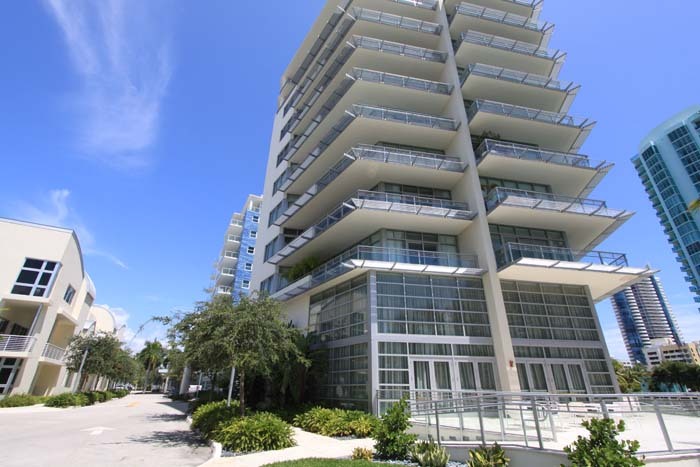 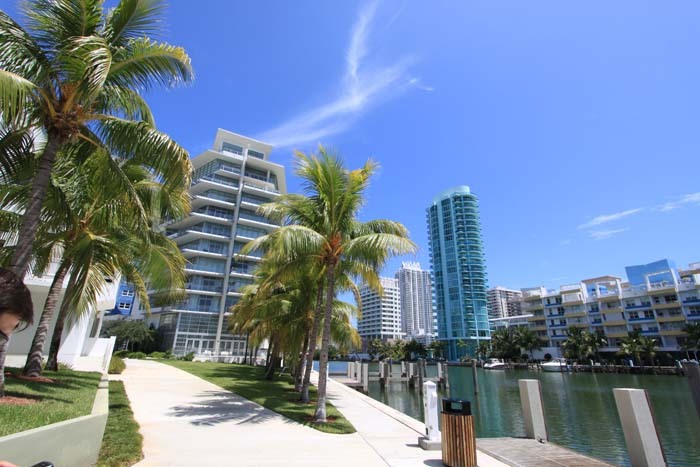 If it is luxury and privacy that you desire, you will certainly find it at Aqua Allison Island on Miami Beach. 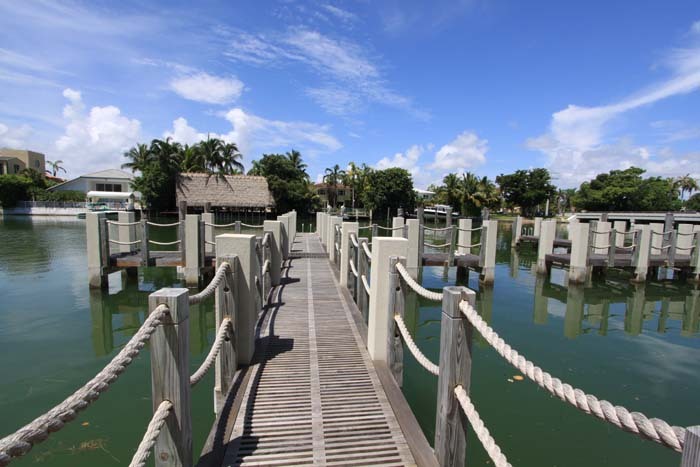 The island is completely private and guarded. 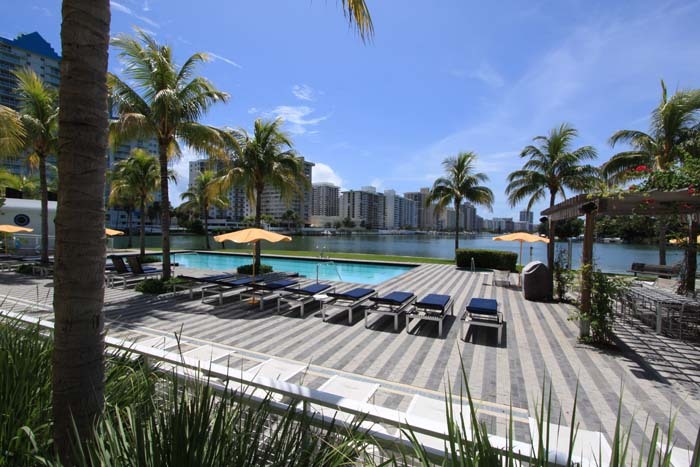 The Allison Island homes, lofts and condo residences on Allison Island are designed with pure comfort and luxury in mind. 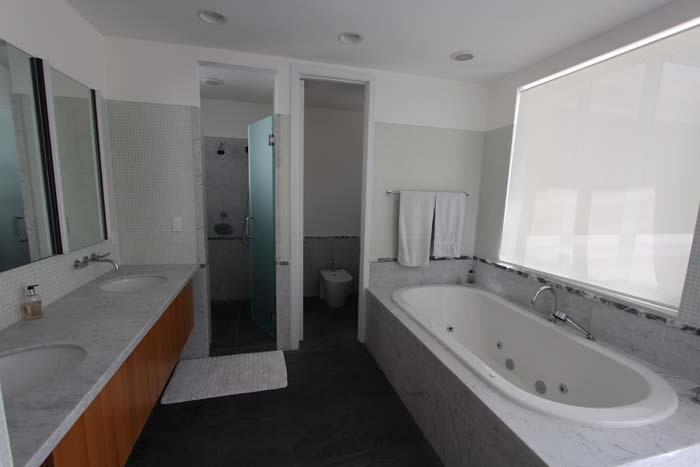 There are a number of different options from which to choose. 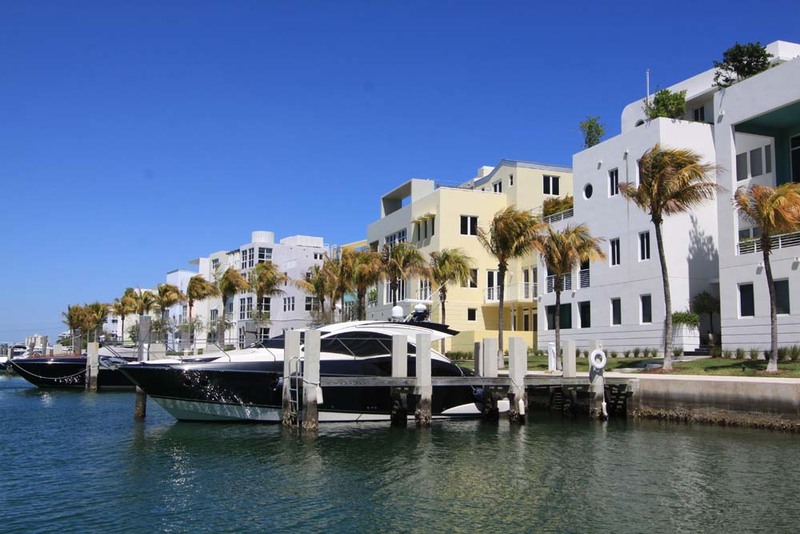 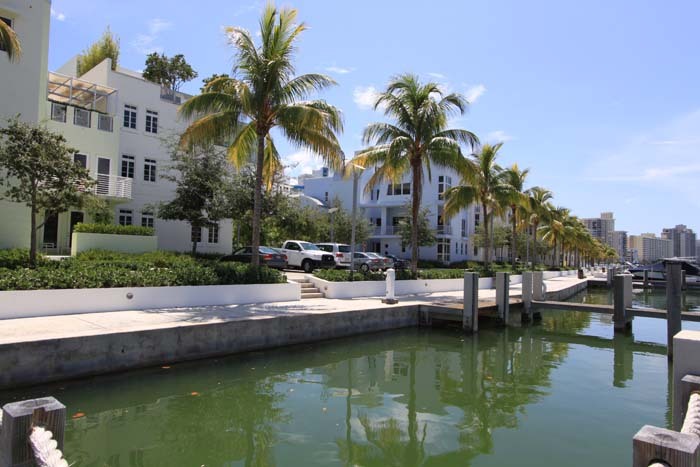 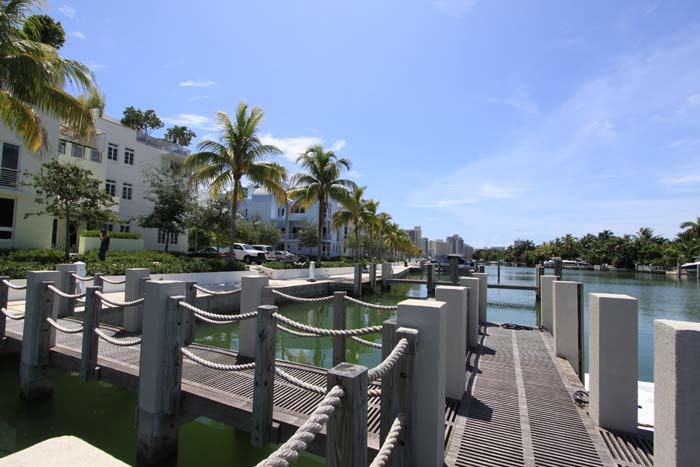 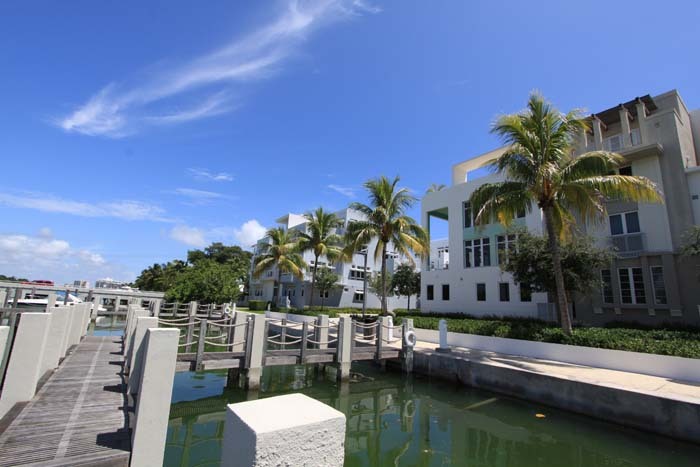 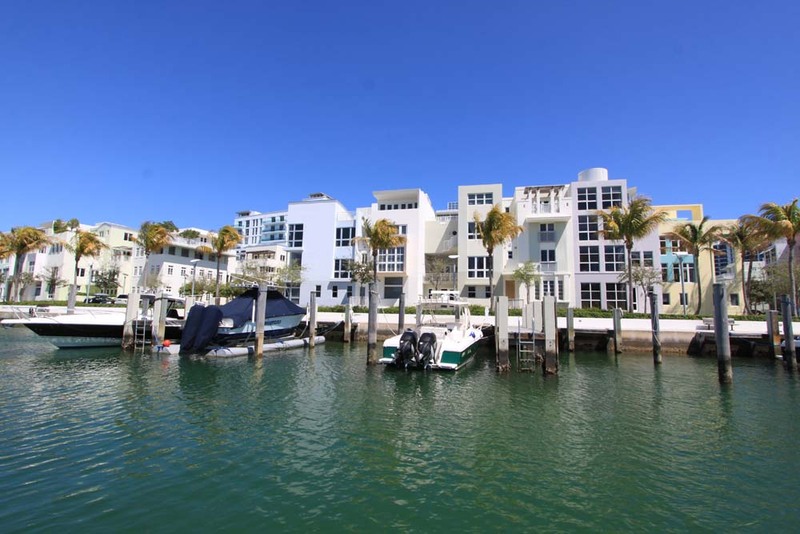 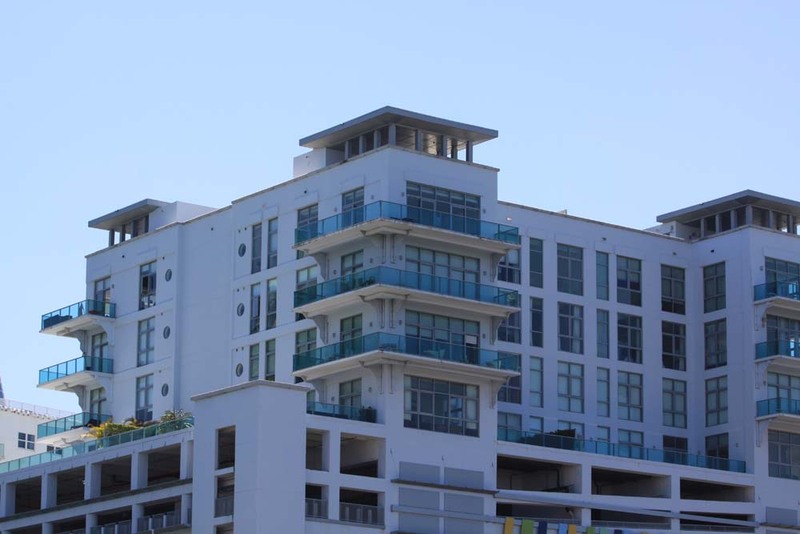 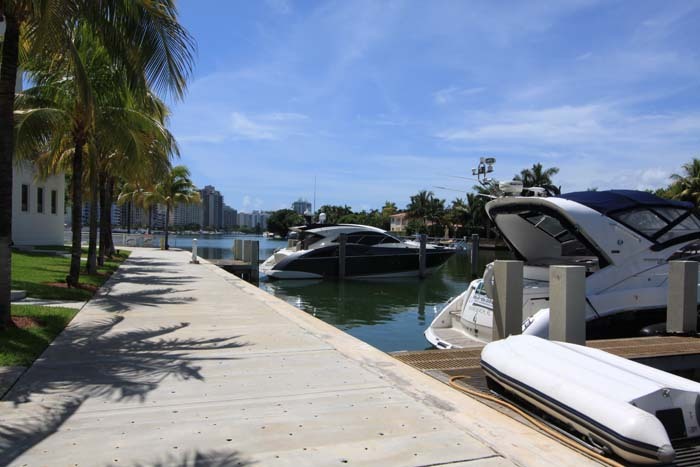 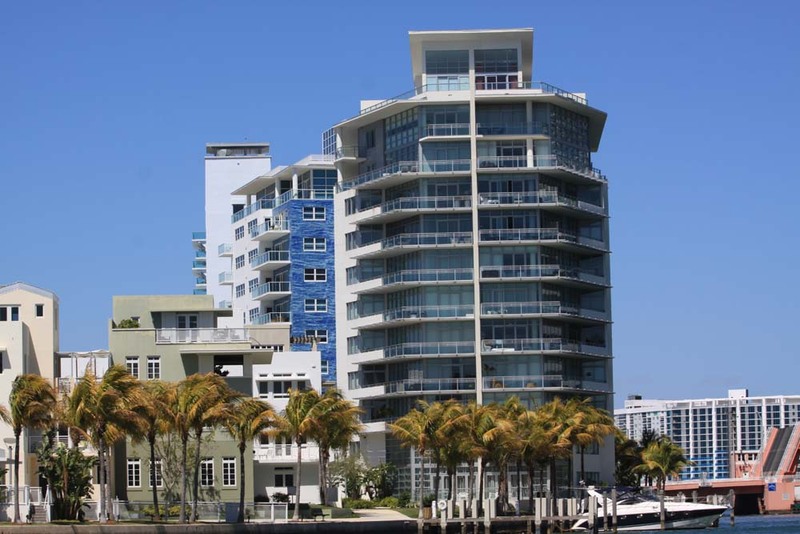 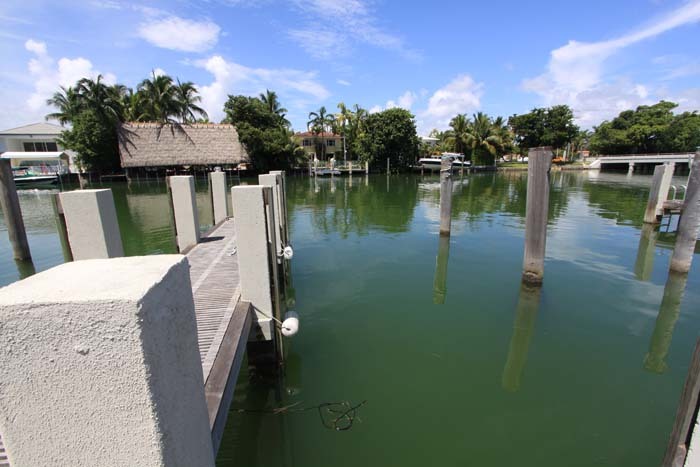 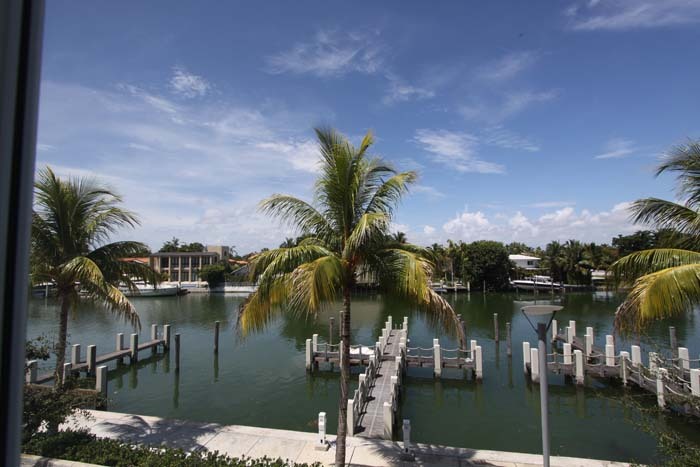 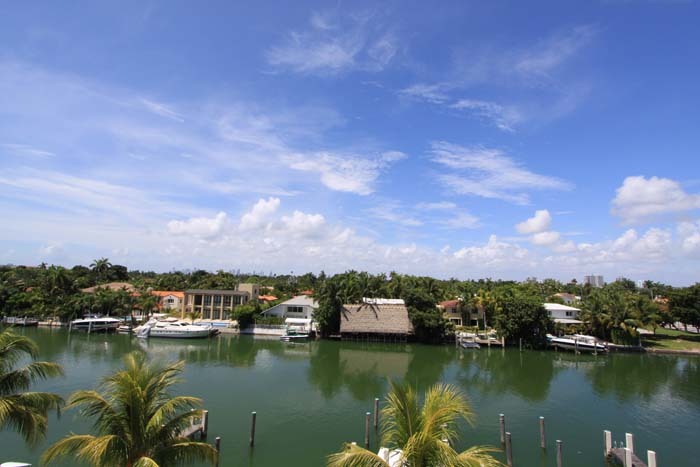 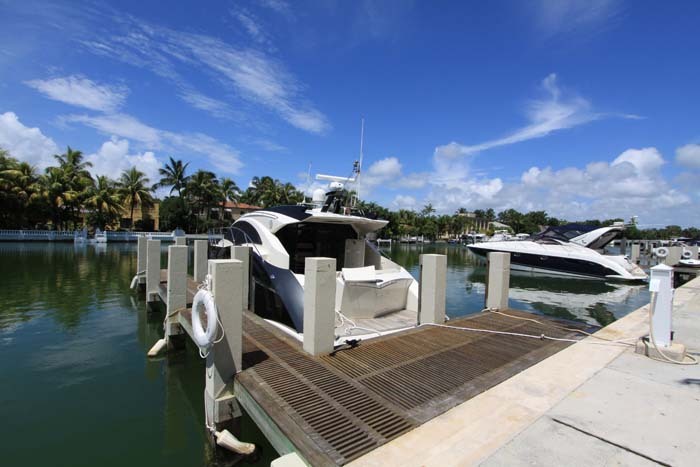 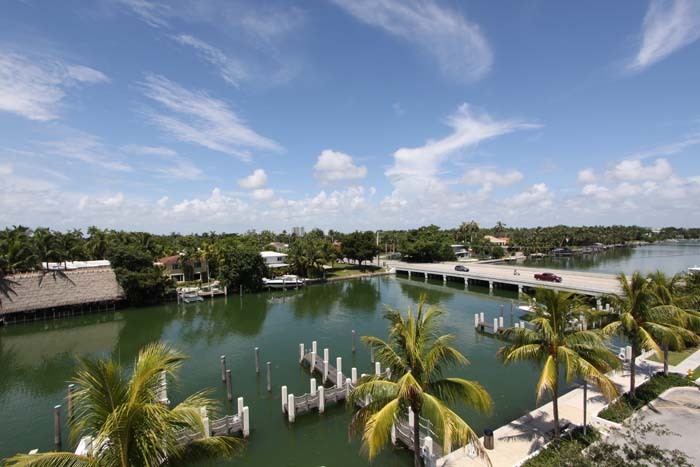 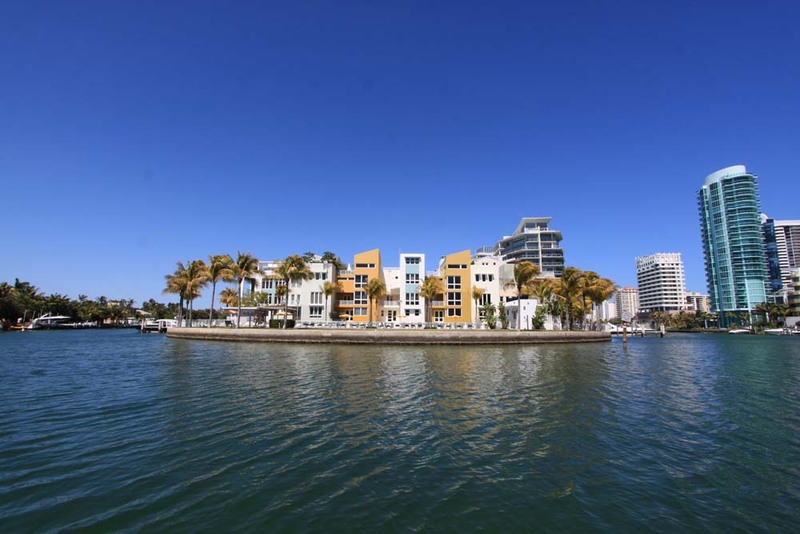 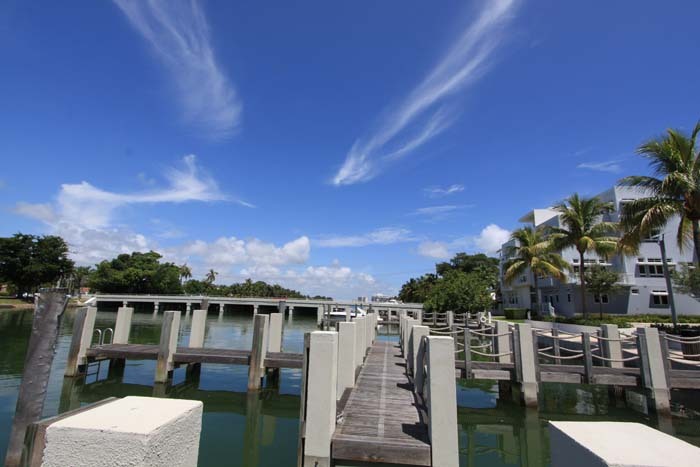 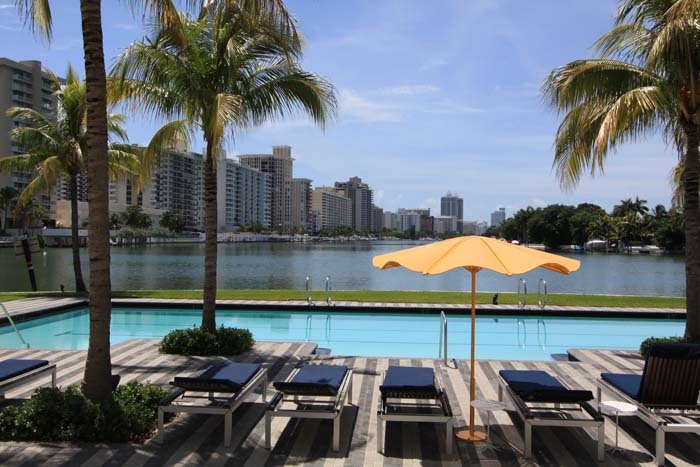 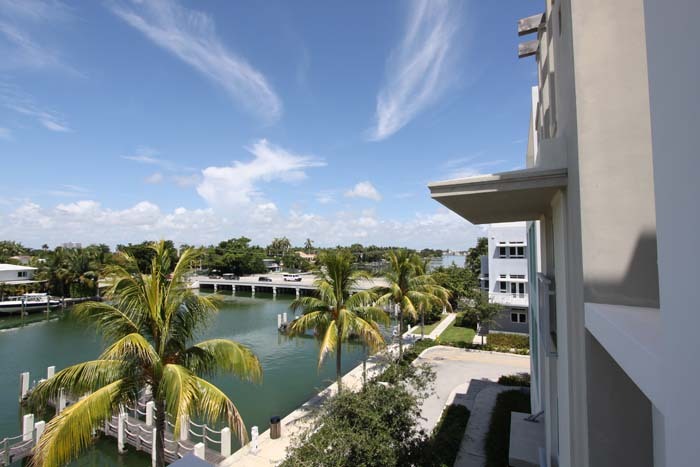 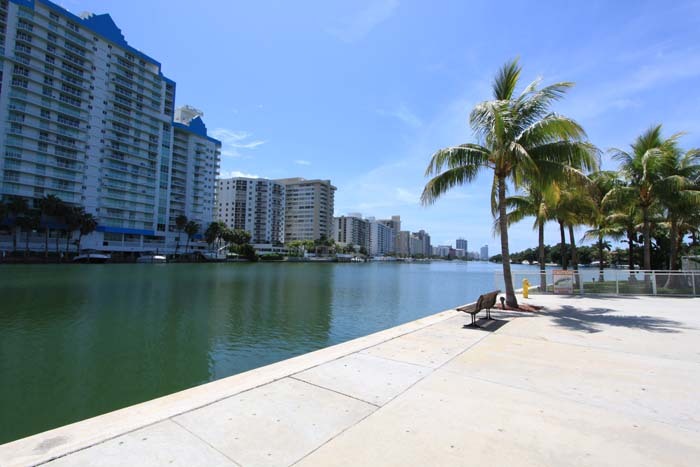 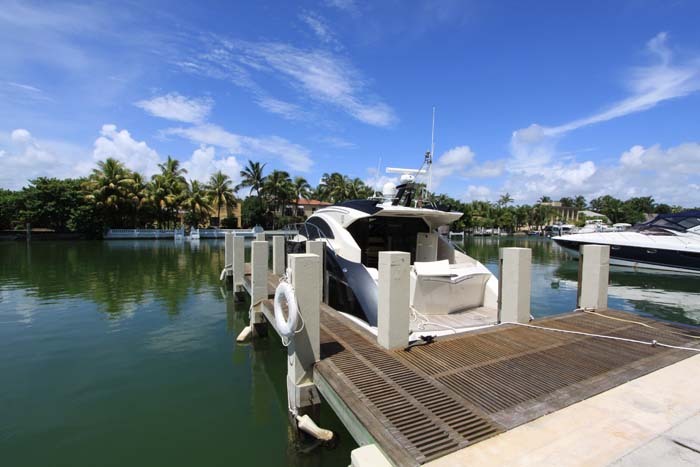 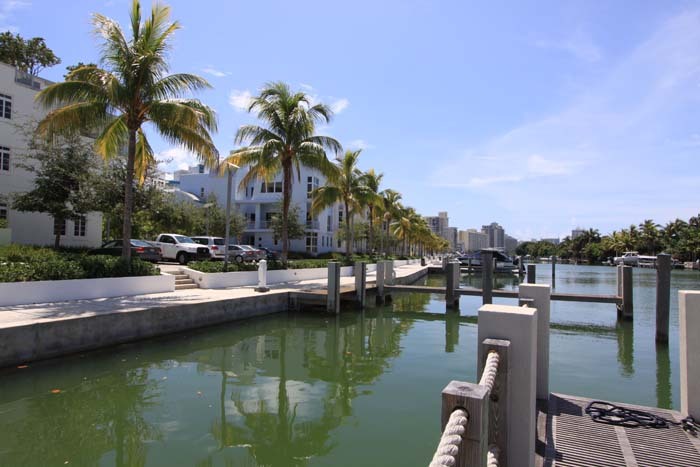 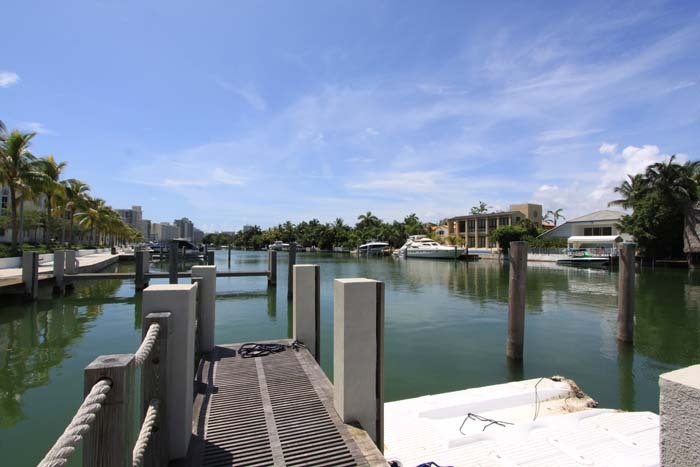 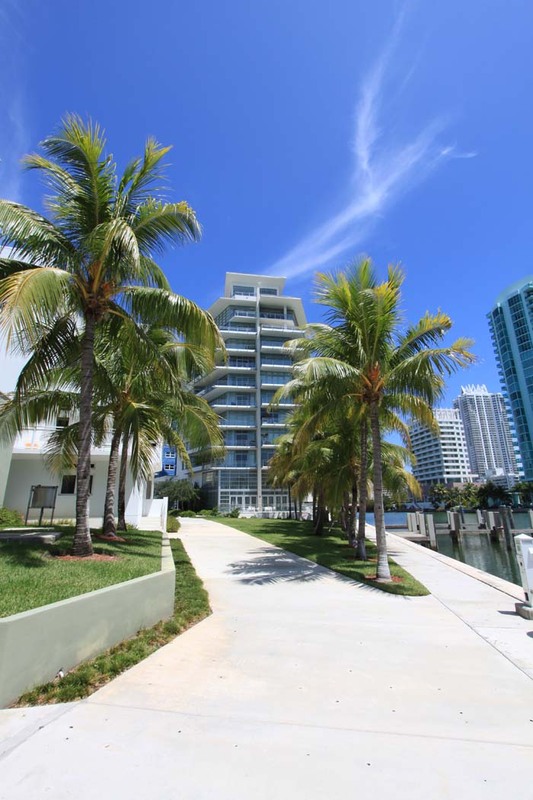 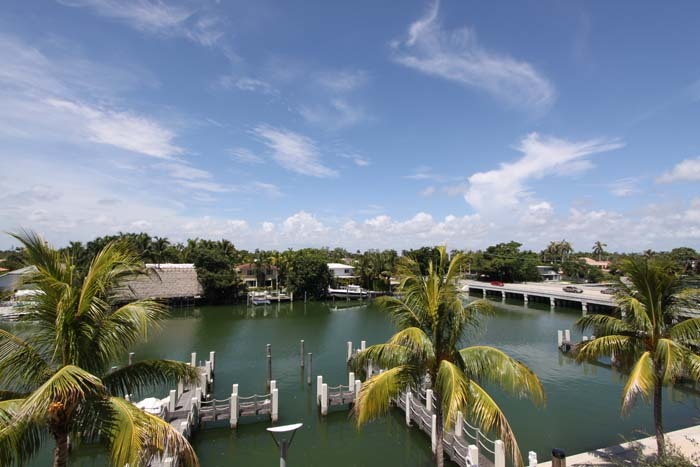 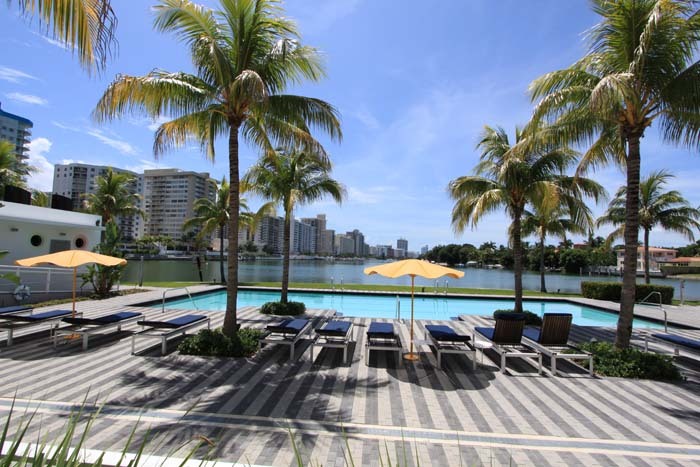 Whether you like the idea of convenient condo living, Allison Island house private residence or a mid-rise, you will be able to choose exactly the right Allison Island real estate for your needs. 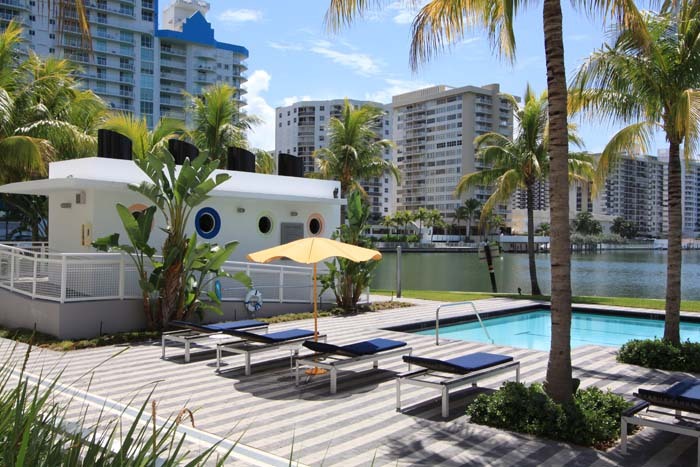 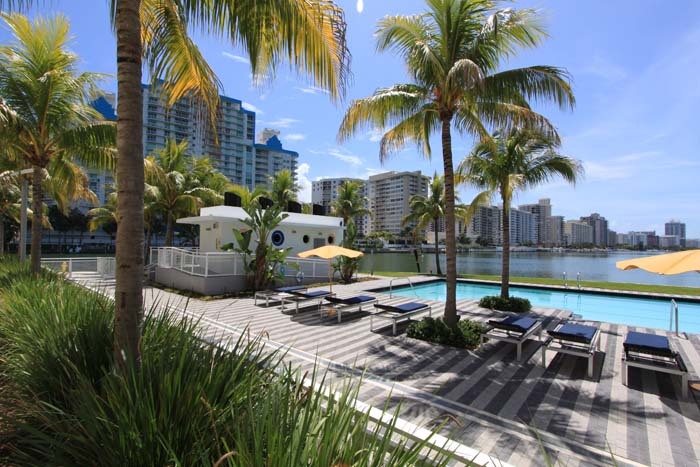 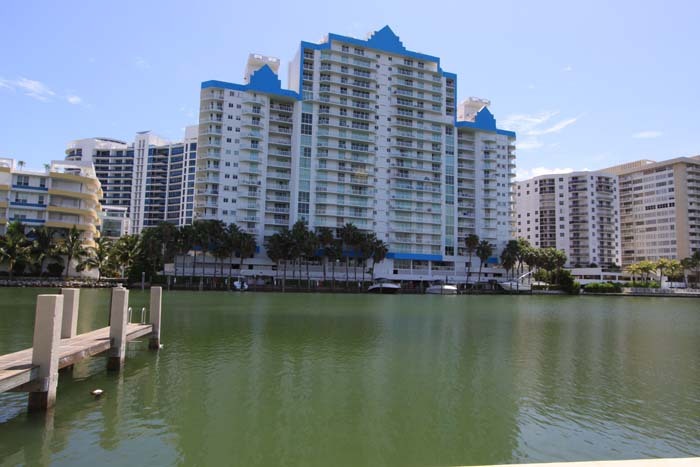 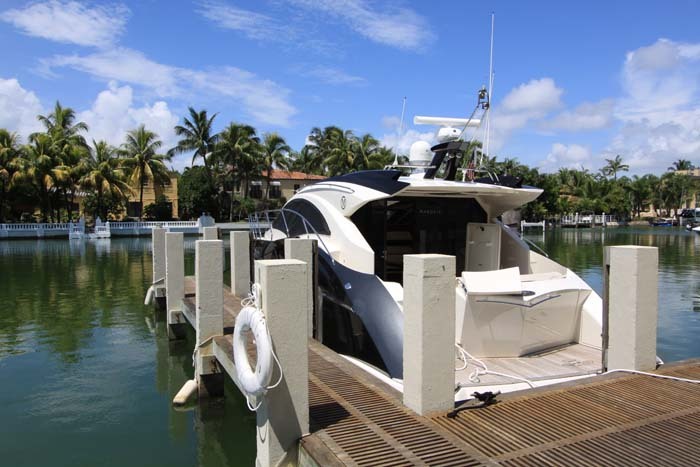 Aqua (stylized as AQUA) is a series of Miami Beach condos for sale within a community located on a small land mass called Allison Island, situated just west between the Miami Beach mainland and La Gorce Island. 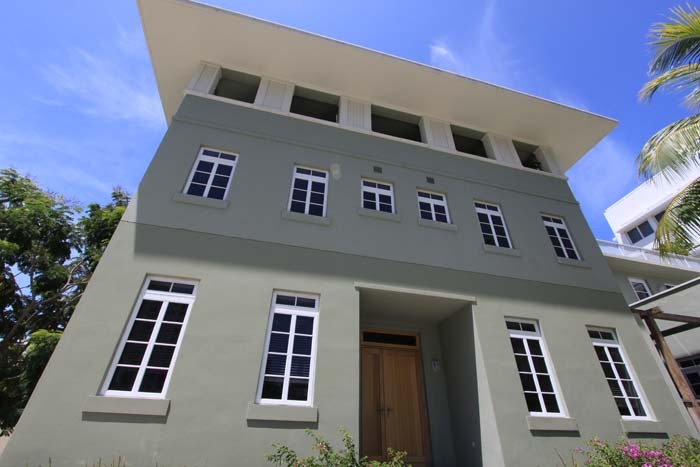 One of the first things you'll notice when checking out these buildings is the prevalent use of bright colors, giving Aqua a very contemporary look. 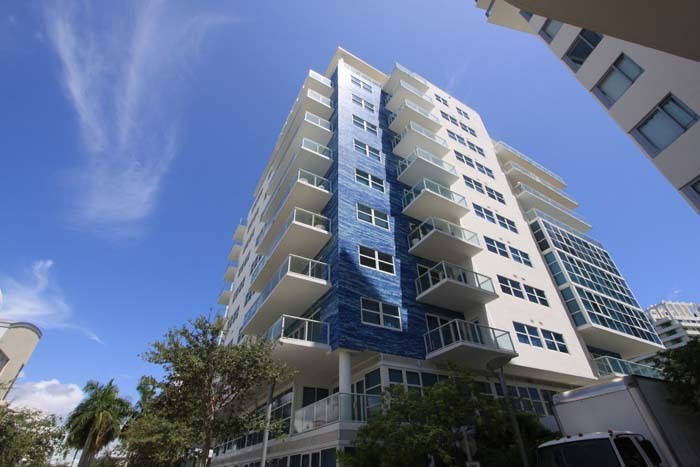 There are 105 units at the AQUA condos which are found within three buildings called Spear, Chatham and Gorlin buildings. 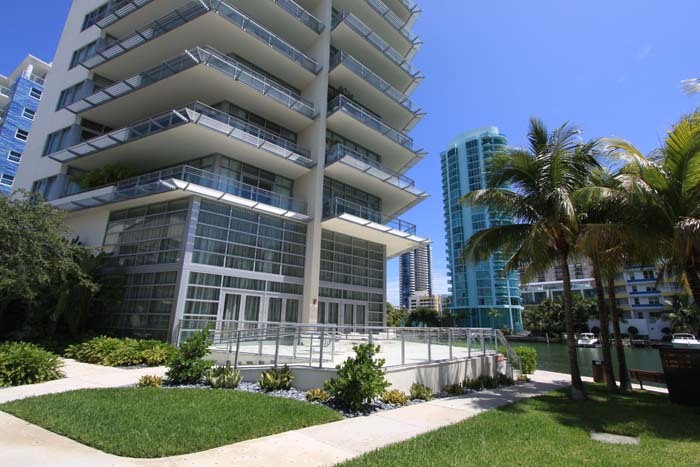 Residences and penthouses come with features like private garages, wraparound balconies, ten foot ceilings and more. 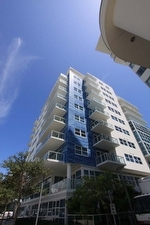 The community itself also incorporates heavy use of original art installations that further give Aqua a unique identity. 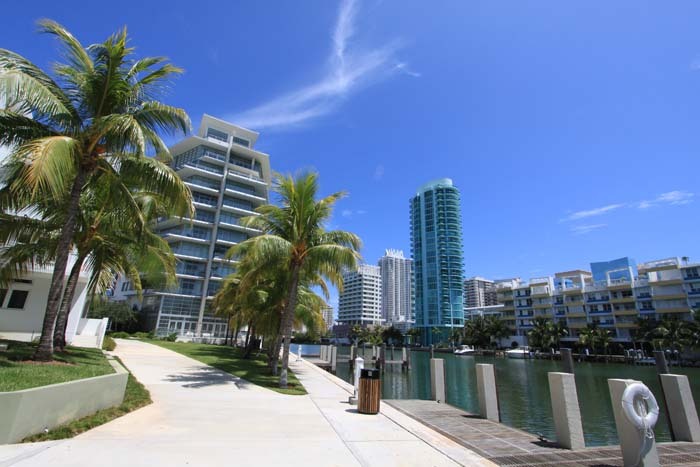 Because of Allison Island's location, it's easy to explore all of Miami Beach like all the sights found on Collins Avenue or the great shopping and dining of Lincoln Road. 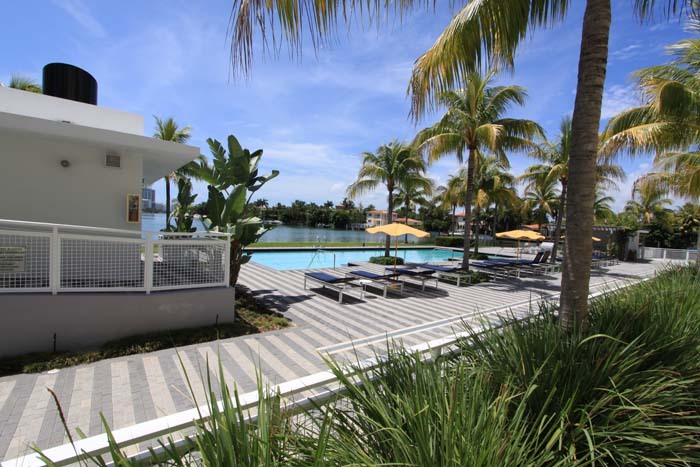 Ocean Drive is another hotspot where you'll always find something to do if you aren't already sunbathing on the sands of Miami Beach itself.